Dine Out Highlights: We’re excited to start with a bowl (Boylston Bowl features kale, butternut squash, kale, pomegranate vinaigrette and the Southwest bowl features romaine, black beans, corn, cheddar, chipotle ranch) and continue the Insta-famous Social Burger with fries or Steak Frites salad, with mesclun, red wine dill vinaigrette, feta, olives, cucumber, and french fries. 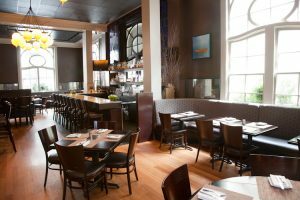 Dine Out Highlights: We plan to take a very generous friend, so that we can order the potato and wild mushroom gnocchi and still get a bite (read: at least half) of the Lemon Sole Véronique, served with wild rice, leek fondue, and green grapes. We’re also craving all of the desserts. All. of. them. Dine Out Highlights: With delicate but delicious first courses, second course options like beetroot gnocchi with aged goat cheese, pine nuts, and basil and bavette steak with purple potato, pearl onion brûlée and horseradish butter, picking your meal will be difficult. The easy part? 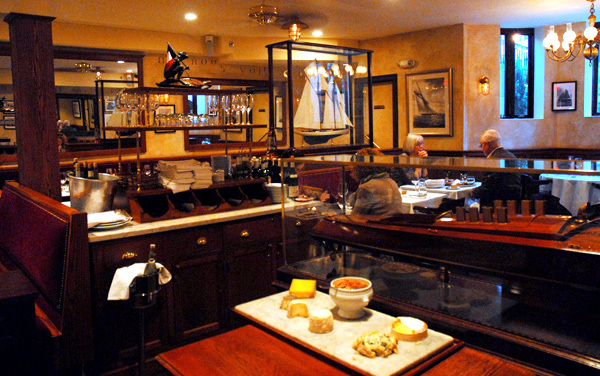 The wine pairing — Bistro du Midi is offering featured bottles for $38 dollars each. Dine Out Highlights: This Back Bay brassiere is serving a delectable three-course meal for both lunch and dinner. 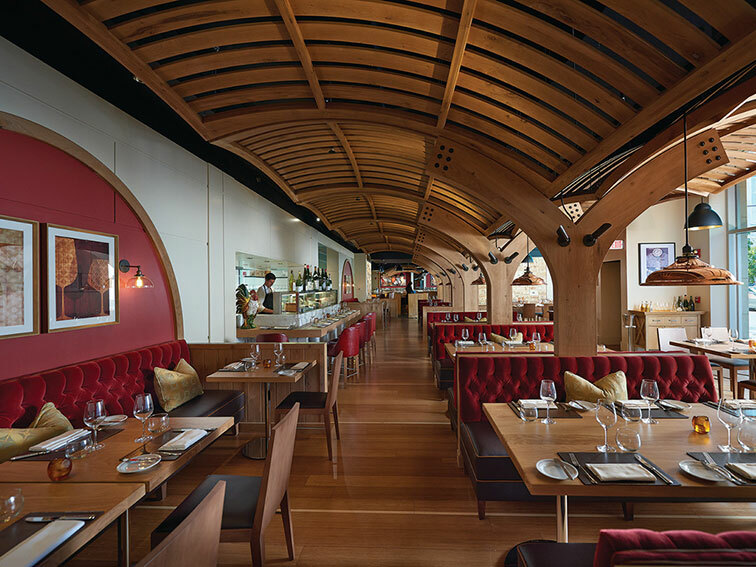 The first course options include French favorites such as Basque style clams, rabbit pate, and pork belly frites. Hearty entrees include veal a la blanquette, grilled swordfish, and steak frites. And don’t forget about the art-deco style artwork OR desserts—chocolate mousse, strawberry crepes, and caramel tortes will be the perfect addition to your French dinner. Make sure to bring a friend or two for optimal tasting! 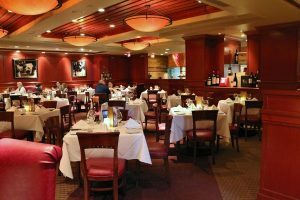 Dine Out Highlights: The Capital Grille offers three of our favorites for your first course: a wedge salad with bleu cheese and bacon, caesar salad with Grana Padano croutons and New England Clam Chowder. 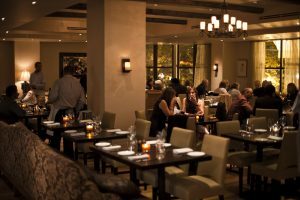 Entrée options are generous and numerous, with five different cuts of beef, including a filet mignon and grilled jumbo shrimp with herb butter for a $10 supplement, as well as herb roasted chicken and seared citrus glazed salmon with Marcona almonds and brown butter. Dessert options are also classic and crave-worthy: flourless chocolate espresso cake and classic crème brûlée. Dine Out Highlights: Start your meal on a lighter side with the City Table chopped salad or opt for something a little different with pork shoulder tacos and Thai chicken soup. The four entrée options cover every palate and include the City Table burger, signature blend of brisket, porterhouse & chuck, local cheddar, tomato, bibb lettuce, toasted potato roll, bistro fries, pan-seared Faroe Island salmon, steak frites, and a roasted half chicken. Round out your meal with chocolate mouse or carrot cake — there’s no wrong decision there. Dine Out Highlights: Davio’s is offering a different menu for each week of Dine Out Boston. 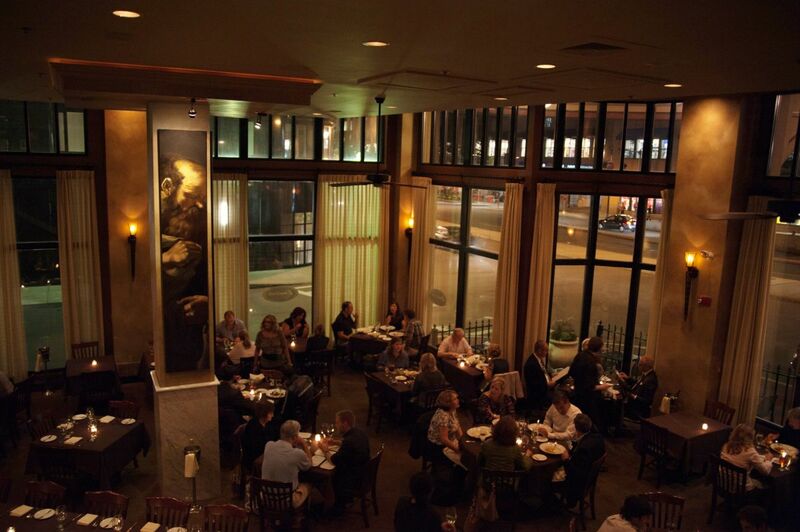 March 18 – 23rd’s menu features dishes like veal, prosciutto, and mozzarella arancini and braised beef short ribs with parmigiano polenta and green beans. 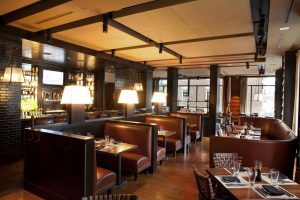 March 25 – 30th’s menu offers pistachio crusted haddock with sugar snap peas and squid ink spaghetti with mussels, calamari, San Marzano tomatoes, and oregano, among other dishes. Dessert for both weeks sounds delectable, with offerings of Boston Cream Pie, cappuccino semifreddo, and more. Dine Out Highlights: Whether you are at Doretta Taverna for lunch or dinner, the Greek delicacies you will eat will not disappoint. Doretta Taverna’s lunch menu includes a village salad which is a mix of tomato, cucumber, onion, kalamata, and feta & your choice of one of their creative sandwiches or pitas. 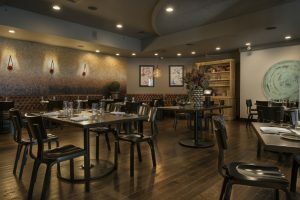 For dinner, Doretta Taverna pulls out all the stops in their three-course meal that will leave you feeling refreshed and not overly stuffed. Start the night off with one of four appetizer choices that include a 100 layer spinach pie, octopus, lamb meatballs, falafel, or a village salad. Delectable entrees include options for every taste, whether you want a vegetable based entree, seafood, or meat. Doretta has you covered. Traditional Greek desserts, like Pistachio Baklava or Galaktaboureko, will help to close a very satisfying dinner. 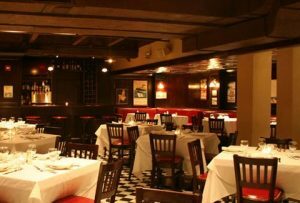 Dine Out Highlights: Fleming’s is sticking to the classics for its Dine Out menu. 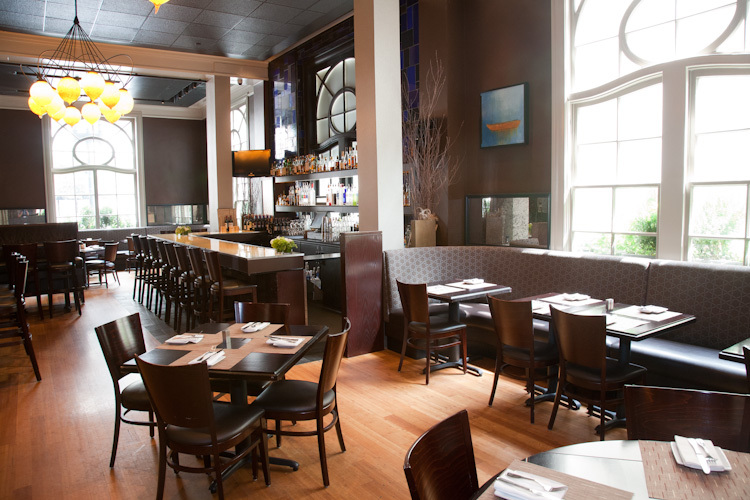 Appetizers include your choice of a modern caesar salad or New England clam chowder. Fleming’s entree options are just what you are looking for when going to a steakhouse: lots of delectable cuts of meat. Entrees include your choice of salmon, chicken, pork, and three different cuts of beef. Did we mention there are optional accompaniments such as lobster, shrimp, or crab to give even more pizazz to an already delicious dinner? Finish the night off with one of their delectable desserts. We are already eying the flourless chocolate cake. 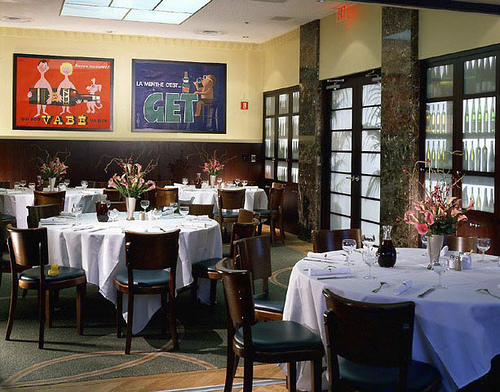 Dine Out Highlights: La Voile’s French cuisine will transport you to to the South of France, even if only for a meal. Both lunch and dinner menus have many options, which will leave your stomach content. Everyone’s favorite, Le Croque Monsieur, a ham and cheese sandwich with homemade pommes frites is on the lunch menu, as well as cod, chicken, and mussels. For dinner, treat yourself with some Foie Gras before indulging in black bass, mussels, roasted duck breast, or braised beef shoulder for the main course. And if you are going to France for the night, it is necessary to indulge in a French pastry. La Voile’s dessert of the day will be served at the end of the meal. 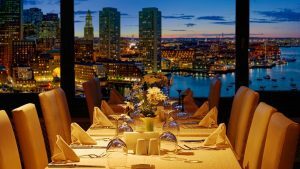 Dine Out Highlights: Use this opportunity to indulge in your Italian favorites during Dine Out Boston. Whether you are looking for a delicious cut of meat, a filling bowl of pasta, or a fresh fish option, Lucca has you covered. 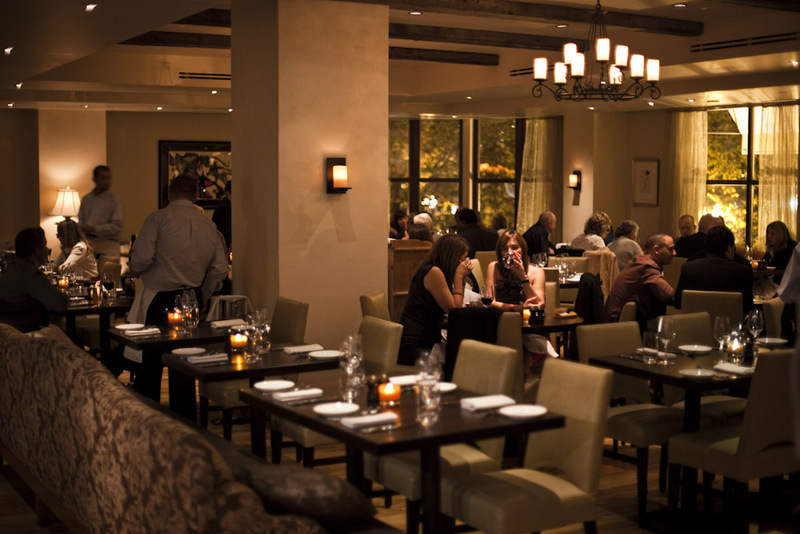 Start out the night with your choice of meatballs, a pear and pecan salad, or lamb carpaccio. 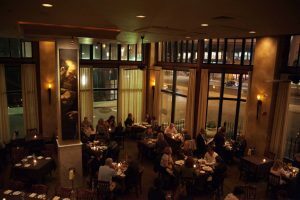 Following the delicious appetizers is your choice of four entrees that include three cheese ravioli, salmon with farro, rigatoni with veal and a beef and pork ragu, and chicken ballotine. Lucca has also crafted three delicious desserts for this menu. Whether you want a fruity dessert—an orangesicle panna-cotta, a chocolate dessert—a chocolate hazelnut brownie, or a sorbet, you can’t go wrong with any selection. Dine Out Highlights: Post 390’s Dine Out menu is serving up American favorites with their own twist. Lunch options include classic comfort food such as fish and chips, venison sloppy joes, Waldorf salad, and a steak and cheese wrap. Post 390’s three-course dinner made from local ingredients will also excite all palates in a comforting way. There are four appetizer options that include carrot soup, pork rillettes croquette, cacio e pepe and a winter citrus salad. Post 390’s hearty mains include panko crusted hake, vanilla brined pork loin, slow braised beef chuck, and a red lentil shepherd’s pie. And we already know we will have a hard time choosing just one dessert. Choices include Post 390’s confetti cake wth passionfruit curd, fresh raspberries, and almond or a caramelized chocolate tart with blood orange caramel will make the night even sweeter. 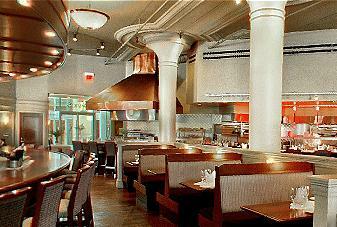 Dine Out Highlights: Dine Out Boston is the perfect time to visit Strip by Strega if you still have not been. 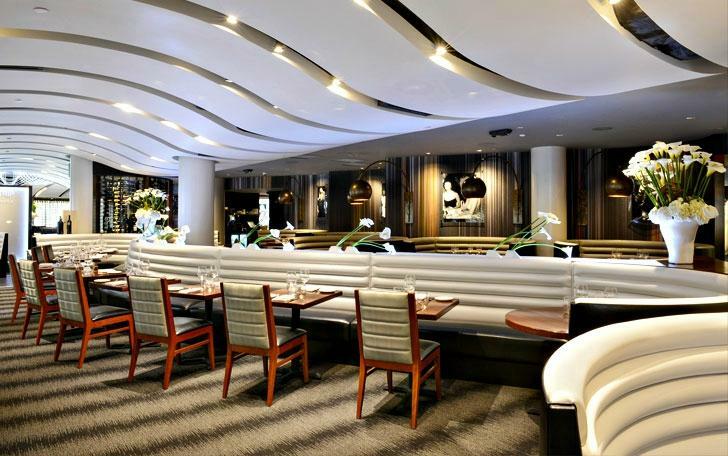 This Verano Group restaurant fuses together the feel of a modern steakhouse and a sleek lounge. And while STRIP by Strega is a steakhouse, any vegetarian will also be pleased with their menu. Delicious appetizers for the night include octopus carpaccio, cauliflower bisque and an arugula salad. Options for the main course include a 6 oz filet, striped bass, Statler chicken saltimbocca, and ricotta potato gnocchi. Their desserts for the night are on the lighter side with your choice of an apple tart or berry shortcake. Dine Out Highlights: Top of the Hub will provide not only stunning views but also delectable offerings for its three-course lunch or dinner for Dine Out Boston. Top of the Hub’s menu is creatively crafted and stars fresh, local seafood but also includes options that will satisfy everyone. Appetizers include your choice of spring pea soup, shaved asparagus salad, goat’s milk ricotta and turmeric ravioli, and crab toast. Top of the Hub’s main courses include poached fluke, grilled flatiron steak, roasted chicken breast, and sautéed spring greens. Their award-winning pastry chefs have also created two delicious desserts for you for the Dine Out Boston menu: a fresh strawberry mousse tart and creme brûlée. The only thing that would make this menu even more perfect is adding Top of the Hub’s wine pairings to your meal for only $20!